March was already an anxious month for Braiden Alan and Maya Guerin. 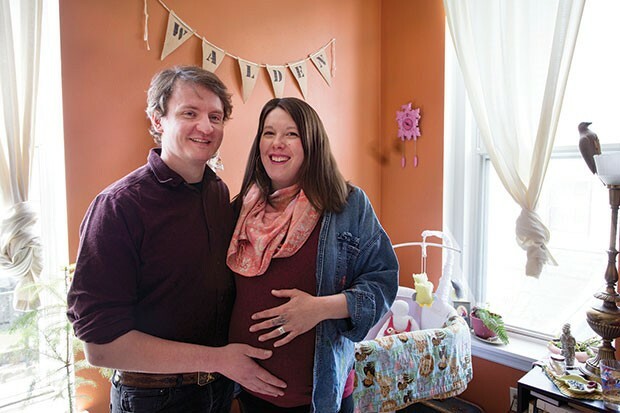 The couple is due to have a baby in early April, and they were busy preparing a section of their one-bedroom apartment in Polish Hill as a nursery. Then on March 22, their anxieties were amplified when they discovered an eviction notice on their door, giving them until the end of April to vacate. Alan, 37, has lived in the building at 3447 Melwood Ave. for more than eight years, and Guerin, 33, has been living with him for more than a year. Alan is a bartender at a hotel in the North Side, and Guerin works for a nonprofit after-school program. Their rent is $550 a month, which is comfortable for them considering their modest earnings and student-loan payments; the same goes for other current occupants of the six-unit building, some of whom are on fixed monthly incomes of $1,000, while others work supporting families on a line cook’s salary. 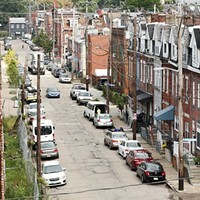 But with eviction looming, Alan, Guerin and the dozen other residents are looking at an average rent in Polish Hill they can’t afford: between $1,000 and $1,100 a month, according to Pittsburgh-based apartment-search site Rent Jungle. Also, says Alan, vacancies are pretty rare in Polish Hill, meaning his new family will most likely have to leave the neighborhood they consider home. Polish Hill has mostly been off the Pittsburgh-housing-boom radar. But housing prices there have skyrocketed, and rents have steadily risen over the past few years. Also, private developers are taking notice, and residential construction projects are becoming a common sight in the neighborhood, increasing the anxieties of community groups who are waiting for Pittsburgh City Council to devote more resources to affordable housing. All of this is making many Polish Hill residents increasingly concerned that the neighborhood’s close-knit character will slip from their grasp, carried away by the interests of property-owners keen on making profits. The evicitions at Alan and Guerin’s building are happening because property-owner Lawrenceville Holdings is selling it. After receiving the eviction notice, Alan and Guerin looked for apartments in Polish Hill, but say they found nothing in their price range that was nice enough to house a new baby. Still, Guerin says they are trying to find an upside. Michael Mele, a data scientist at Rent Jungle, says Polish Hill, like other city neighborhoods near Downtown and Oakland, has seen monthly rents increase from a 2011 average of about $800 to between $1,000 and $1,100. Alan and Guerin decided to take the fight to the building’s owner, Lawrenceville Holdings. 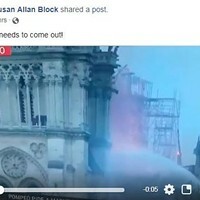 Alan and Guerin wrote a letter and made phone calls to Lawrenceville Holdings, requesting more time before being forced out. 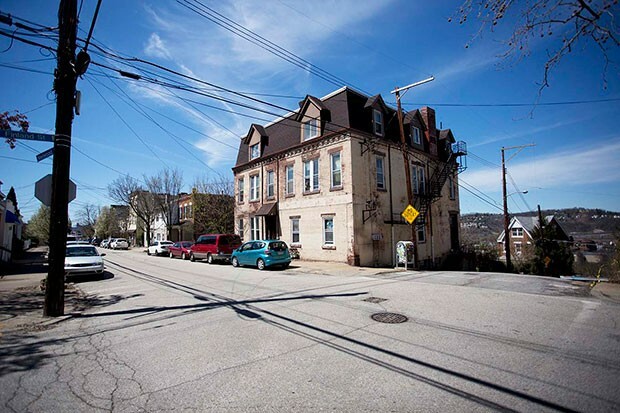 When Pittsburgh City Paper spoke to Mary Simmons, property manager at Lawrenceville Holdings on April 5, she said she had spoken with the soon-to-be owners of the building, who agreed to allow tenants at three units, including Alan and Guerin, to stay until the end of June. “We are not going to throw a pregnant woman out onto the street,” says Lawrenceville Holdings principal John Pergal. Tenants like Allyson Knights, who lives on the second floor with her 55-year-old roommate, who is disabled, wrote in an email to CP that Lawrenceville Holdings was prioritizing profits over the well-being of its residents. The building at 3447 Melwood Ave. in Polish Hill will likely be remolded into luxury apartments. Knights feels fortunate that she was able to purchase a home in Polish Hill that she, her roommate and her dogs can move into. But she says her roommate would have been left out in the cold without her help. Alan is also critical of Lawrenceville Holdings for not investing in the property when the company owned it. He says that he did a lot of upkeep on his unit himself, and that no major renovations have been undertaken since Lawrenceville Holdings bought the property in 2010. Simmons says Lawrenceville Holdings has done some work to the building, like replacing the floor of one unit and painting another. But she says it’s difficult to do major fixes when units are occupied, and that there were fewer funds to renovate since rents were kept low. Lawrenceville Holdings purchased the building for $75,000, according to county records. Pergal says the company is selling the property for $326,000. Additionally, Pergal says the buyer (not yet identified) intends to do a complete remodel of the building. Simmons, Pergal’s property manager, says the remodeled building will most likely cater to luxury-seeking clients. “That is what happens in hot neighborhoods,” she says. 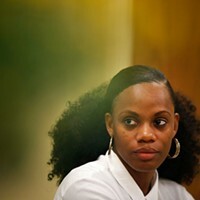 Simmons does regret how the evictions were initially announced and says she “wished [she] would have gone back to the buyer and asked for time for the tenants” before issuing the eviction notices. Still, she defends Lawrenceville Holdings’ actions because it placed all tenants on month-to-month leases eight months ago and informed them it intended to sell. Alexis Miller, former chair of the Polish Hill Civic Association and current housing advocate for the neighborhood, says there’s a place for private development in Polish Hill, like efforts to tackle blight, but that developers of large projects, like multi-unit buildings, should reach out to the PHCA before moving forward. With Miller’s help, PHCA has been trying to get affordable-housing protections for Polish Hill to proactively address what she says is an impending housing boom. Statistics compiled by Miller show average home-sale prices have increased by more than 700 percent since 2010. Granted, prices in 2010 were very low (averaging $22,000), but Miller says this is still a cause for alarm, and points to a June 2016 home sale of $389,000 as proof. Miller says this growing housing market makes it difficult for PHCA to create equitable development, given its limited resources and volunteer staff. 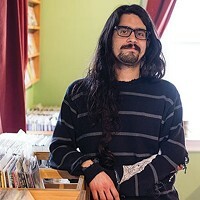 PHCA has been working for years with the Pittsburgh Urban Redevelopment Authority to create middle-income housing and retail spaces at a site on Dobson Street, but has struggled to find funding. Miller also says PHCA is trying to create a community land trust, where for-purchase homes maintain affordability in perpetuity. But Miller believes the only way to really tackle affordable-housing issues in Polish Hill is through public policy. In May 2016, Pittsburgh’s Affordable Housing Task Force submitted a list of recommendations to City Council, which is still deciding which to pursue. The recommendation with the most backing is the creation of the $10 million Housing Opportunity Fund. However, a funding source for the Housing Opportunity Fund is still up for debate, and Gross says that without the fund, and more tenant protections, low-income Pittsburghers will continue to be forced out of neighborhoods with hot housing markets. “We are going to continue to hear these stories until we figure that out,” says Gross.